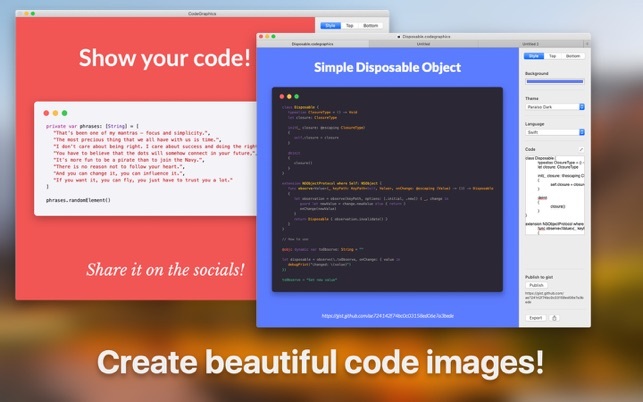 Do you want to share beautiful code on Instagram or Facebook? 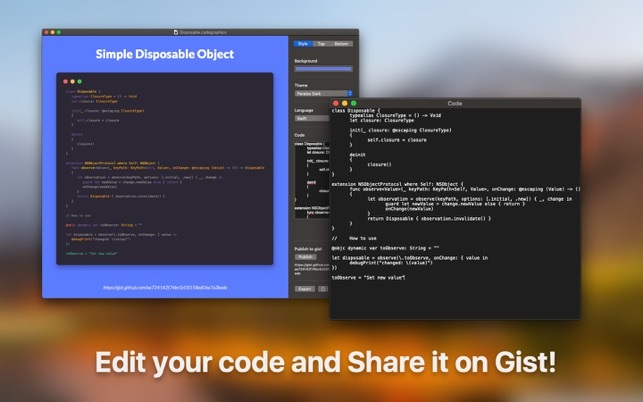 Do you want to add your code on GitHub Gist? You need only to drag and drop, copy/paste your code and choose styles, font and colors! CodeGraphics is developed from Italy by Dimitri Giani of Flooido. * Rewritten image generation improving performance and future features. * Added Gist support. Now you can publish your code directly on Gist. * Added filetype support. Now you can save your codegraphics files, reopen and edit.